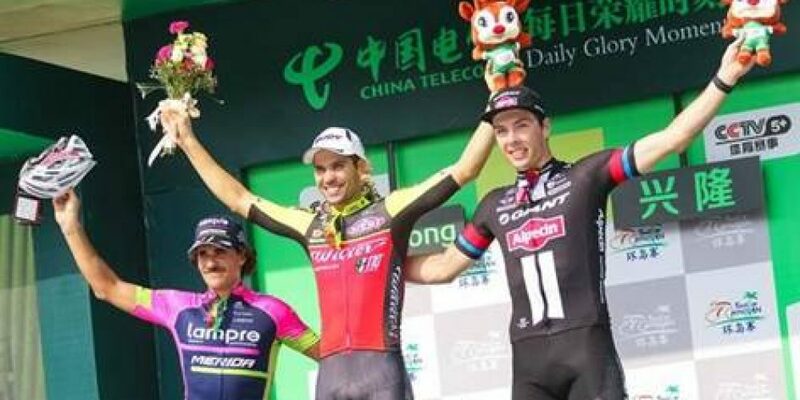 The adventure of Wilier Triestina – Southeast in China at the Tour of Hainan starts with the smile of Rafael Andriato. The brazilian rider was able to claim the at the sprint the 14th win in this 2016 in a technical final that was made hard by some short climbs and by a lot of turns in the last 3 kms. Yonder Godoy, Mirko Tedeschi, Giuseppe Fonzi and Cristian Raileanu were a perfect help for their team mate in the last kms and the Jellow Jersey that Andriato will wear tomorrow is a well deserved prize for their job. The only bad new is the abandon of Andrea Fedi that was forced to quit after 30 kms because of the exacerbation of the pain in his knee that stopped him for the central part of his season. Tomorrow the 2nd stage from Xinglong to Haikou will be 230 kms long with a climb at the half of the stage that shouldn’t avoit another mass sprint.